A Symposium on the Launch of the Global Biodiversity Outlook 3 (GBO3) and the Japan Biodiversity Outlook (JBO), entitled Current Status of Biodiversity, Life in Harmony, into the Future, was held at the United Nations University (UNU) Headquarters in Tokyo on 10 May 2010. A summary of the status of biodiversity on a global scale was released simultaneously in different parts of the world. 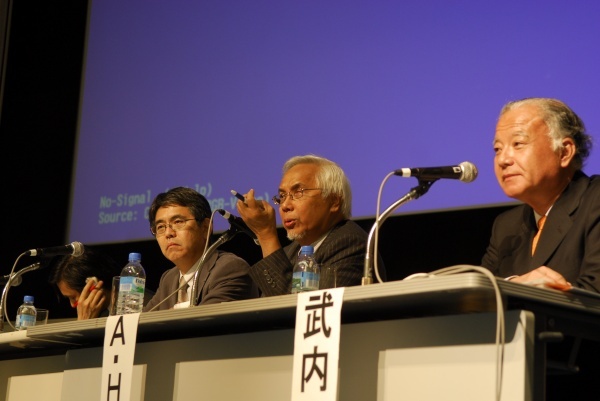 This symposium was co-organized by the UNU, the Ministry of the Environment of Japan (MOEJ), the Secretariat of the Convention on Biological Diversity (SCBD), and the United Nations Environment Programme (UNEP). The symposium was attended by about 300 people with various backgrounds including researchers, NGOs, the media, private sectors and diplomats, making this event a good occasion for the discussion on mainstreaming biodiversity into different sectors of the society. A video message from MISIA, a Japanese singer and songwriter and the Honorary Ambassador for the COP10, also appeared on the screen.